Many people don’t realize that dentists don’t only focus on tooth and gum health. They’re also paying attention to how your many complex oral structures may interfere with your daily life. In the case of sleep apnea, these oral structures can easily affect your ability to get a good night’s sleep. If you aren’t familiar with this condition or its symptoms, it’s worth giving this page a closer read. You just might determine that sleep apnea therapy in Charlottesville could change your life for the better. Give our office a call to schedule an appointment with one of our dental experts! Sleep apnea is a chronic condition that prevents people from obtaining proper amounts of sleep throughout the night. This condition comes in three different forms, but the most common form is obstructive sleep apnea (OSA) and is caused by a physical blockage in the mouth. Blockages could be the tongue, soft or hard palate, or other oral structures that prevent proper airflow. As a result of these blockages, breathing is interrupted for about 10 to 20 seconds at a time, triggering an emergency response or “apnea” in individuals. If you believe that you may have sleep apnea, it’s incredibly important to gain a diagnosis and treatment plan from our office. 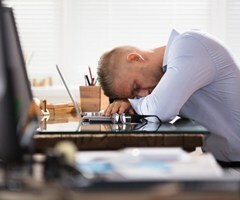 Those with sleep apnea are at higher risk of sleep deprivation, which in turn puts you at higher risk of developing systemic conditions like cardiovascular disease, depression, and chronic illness. Furthermore, those with sleep apnea are more likely to fall asleep at the wheel, resulting in a higher risk of traffic collisions, injury and even death. Our dentists may recommend an oral appliance or a continuous positive airway pressure (CPAP) machine to treat your sleep apnea. While the CPAP machine has been the gold standard for sleep apnea treatment for many years, many people struggle to use the device at first. 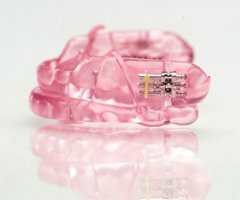 In this case, an oral appliance can act as a fair alternative or allow you to use the CPAP machine on a lower setting. After speaking with one of our dentists, you’ll have a better understanding of your options and the treatments that best meet your needs.